The much-awaited announcement of the title of NTR’s 27th project has been made and today being Srirama Navami makes it even more special. 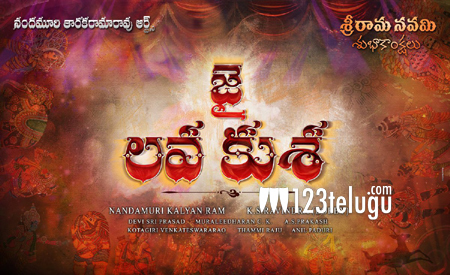 This crazy project has been titled Jai Lava Kusa as being speculated and the Young Tiger took to his Twitter profile this morning to release the film’s motion poster. Within a few minutes, NTR fans started​ trending the #JaiLavaKusa hashtag among the worldwide top 50 trends, showcasing how excitedly ​they have been waiting for this day. Raashi Khanna is one of the film’s leading ladies, while the makers are still tight-lipped about the other heroine. Nandamuri Kalyanram is producing this movie and Bobby is directing it. DSP is scoring the film’s soundtrack.